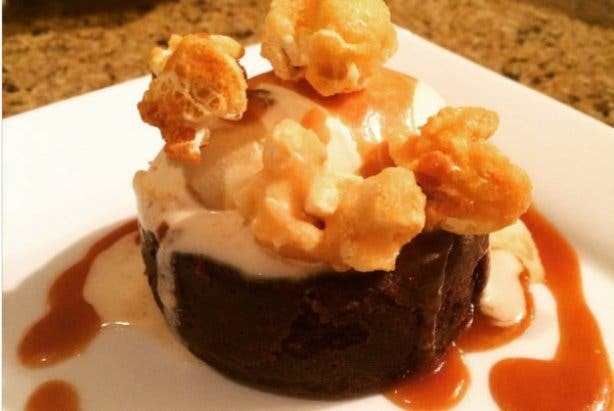 There are no boundaries or limitations when it comes to serving delicious food, which is part of the thinking behind the name of a new restaurant in Observatory featuring elevated street food. Following its successful launch on Friday 17 August, No Fixed Address, the brainchild of South African-born chef Steve Duke, is now open. This eatery is situated down an alleyway leading to an open courtyard with seating. Take some time to wander down the alleyway slowly and take in the eclectic street art and decor that covers its walls, it will give you a hint of what to expect – the unusual! The restaurant reflects the uniqueness of the menu, it’s eclectic – a mix of quirky, comfort, vibrancy and eccentricity. 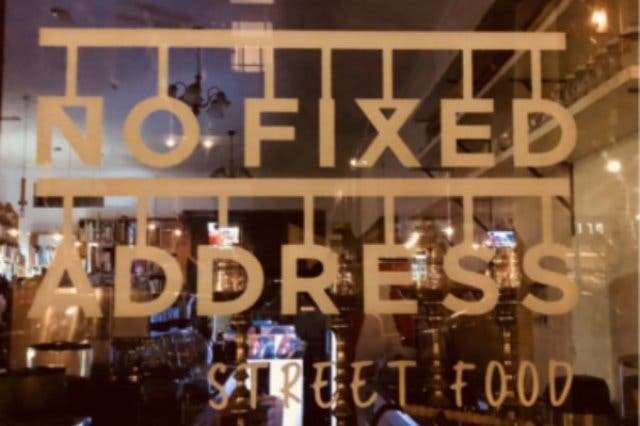 No Fixed Address serves a fusion of unique Asian and Mediterranean street-style food to suit all tastes, including some vegetarian options. With a passion for originality and unique flavour, each dish on the small but select menu is infused with flavour and a generous touch of the chef’s passion. Signature dishes include the slow braised lamb shank with butternut green curry, chorizo croquettes with saffron sauce and a salsa verde dressing, and the torched Miso marinated zucchini with pickled carrot and daikon, crispy potato chip and spicy aioli, which bursts with flavour, and Chef Steve’s personal recommendation – sticky toffee pudding with a salted bourbon caramel. Not to be missed, is the Lindt dark chocolate mini fondant with vanilla gelato – sublime. It is amazing that the quality and the uniqueness of all the menu items are produced in the smallest of kitchens. Not big enough for more than two people and packed with equipment, the kitchen buzzes with energy and carefully coordinated action. Opening onto the courtyard, all the preparation and cooking can be viewed from the seating so you get to see for yourself just how efficiently the chef works in that tiny space. No Fixed Address is an established catering brand in Canada, starting as an underground restaurant creating intimate dinners. The award-winning chef has catered for many international celebrities, including for Michael Bublé’s 40th birthday and has been featured on Food Network. Not only passionate about food, Steve (a former lawyer) also has a strong sense of community and a love of art. This is reflected in the vibey street artwork work outside the restaurant, created by Luntu Vumazonke and friends. The restaurant is open 8am–8pm Monday to Saturday and 8am–5pm on Sundays. For the time being, pending the granting of a liquor licence, patrons can bring their own bottle. 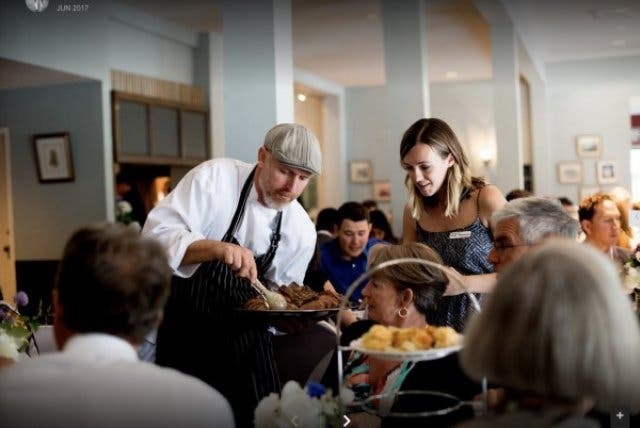 The venue for is also available for private events with catering by Chef Steve, the space can accommodate 50 people seated, mostly outside with seating for 15 in the small inside area, which shares space with a bookstore. Take a look at our list of exciting new restaurants and places in and around Cape Town. If you like street food, then this is a must-do, don't miss the upcoming street food festival. If you want to stay in Obz territory, you'll get a good meal and a vibey atmosphere at this local eatery. For more street-food discoveries, visit the V&A Food Market. And, if you’re looking for even more markets where street-style food is featured take a look at these ten markets. Discover more about the bustling, bohemian suburb of Observatory. Interested in street art? check out our post on street art and murals in and around the city.